I like book tags, so here is another one. I saw this over at Spines and Covers and thought it would be nice to do this for you guys. How do you keep track of you TBR pile? I have a list on Google Keep where I put my newly bought books and audio books. And what I want to read next. Is your TBR mostly print or e book? My e reader died recently so, these days it is mostly print and audio books. I just randomly pull out a book from the list. Right now I have a list for which order I am going to read the books, because it is such a mess right now. Also I don’t want to let the newest books wait for too long before reviewing them. 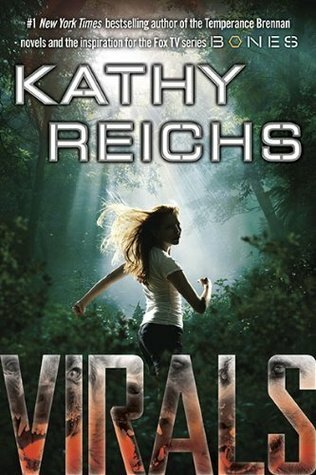 Virals by Kathy Reichs. Still haven’t found a copy to buy yet – Sad face. 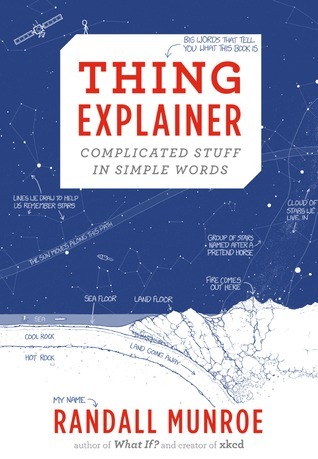 Thing Explainer by Randall Munroe. Awesome book! Also the most reading work since forever. Haha. A Thousand Pieces of You by Claudia Gray. I love the colours of this cover. I never put anything on my TBR I don’t plan on reading. Everything I put on there I read. On March 8 2016 Lady Midnight by Cassandra Clare. I love The Mortal Instruments universe, so every book in that series I am hyped for. Probably The Isle of the Lost by Melissa de la Cruz. The Program by Suzanne Young. Winter by Marissa Meyer. I just loved the earlier books in The Lunar Chronicles and really want to read this book. I am ashamed to say, currently I have 41 books on my to-read shelf on Goodreads. I have no time to read all these books, but I am going to try. Some books are re-reads though, so it is not completely unknown. This entry was posted in Book Tag and tagged Adventure, Book Tags, Cassandra Clare, Claudia Gray, Fantasy, Kathy Reichs, Marissa Meyer, Melissa de la Cruz, Randall Munroe, Romance, Science-Fiction, Suzanne Young, Thriller. Bookmark the permalink.